The COPO Camaros, Chevelles, and Novas of the 1960s and early 1970s were the ultimate high-performance GM muscle cars. 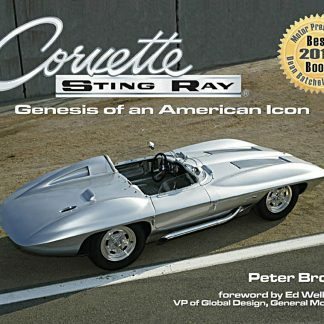 While few knew about this back channel program at the time, it is now recognized as the origin of GM’s top muscle cars. Dedicated Chevy racers and car owners were determined to compete head-to-head with Mopar and Ford at the racetrack and on the street. But in order to do so, they needed to circumvent the corporate ban on racing and resolve the restriction of 400-ci engines in intermediate vehicles. Don Yenko and some other creative individuals recognized the loophole in the COPO (Central Office Production Order) system at General Motors. The COPO program was designated for fleet vehicles such as taxicabs, but at the peak of the muscle car wars it was used to build the ultimate high-performance Chevy muscle cars. Some horrific on-track accidents compelled General Motors to drop out of racing, yet GM did not want to allow Chrysler and Ford to steal the glory on Sundays while they stood on the sidelines. As a result, GM inconspicuously ran the Chevy racing and high-performance program through back channels, and COPO was integral part of the program. Don Yenko became the COPO muscle car program chief architect and champion. He ordered the Corvair through the COPO program and created the Corvair Stinger to mount a SCCA road race campaign. From these humble beginnings, the road map for creating the ultimate Camaros, Chevelles, and Novas was established. Factory Camaro V-8s came equipped with the 350 small-block or 396 big-block, which had to compete with the Mustang Cobra Jets and Mopar Wedge and Hemi cars. In response, building the big-block Camaro through the COPO program was devised. At the factory, Camaros were fitted with the 396 engines and shipped to dealers where the 427s were installed in the cars. From 1967 to 1969, the factory and dealers installed eight different 427 engines, including the all aluminum ZL1 427. Later on, others used the road map to build COPO Novas and Chevelles to similar spec, with similar results. The COPO performance car program did not end with these muscle cars. Yenko even ordered several hundred Vegas through the COPO program, so they could be fitted with turbochargers and raced in SCCA competition. 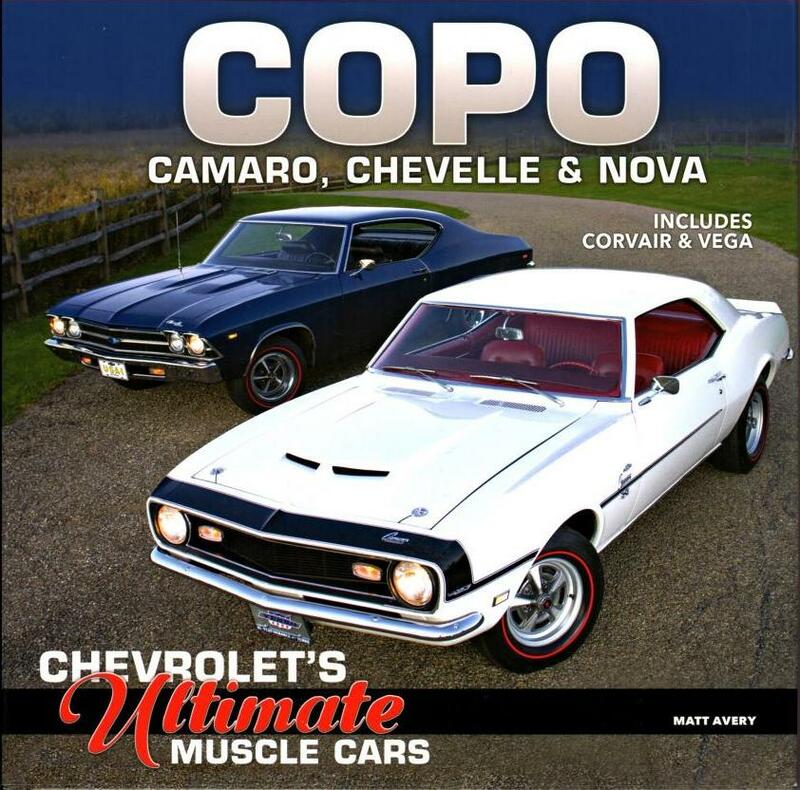 Chevy muscle car aficionado and author Matt Avery retraces the history of the COPO program and the creation of these premier muscle cars. 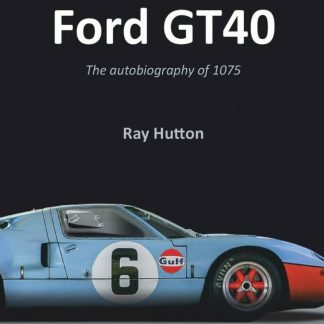 He has scoured archives and tracked down owners and personnel involved in the program to deliver a comprehensive story and complete guide to the COPO cars. 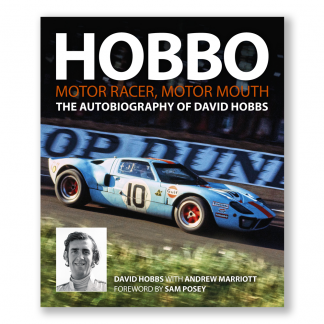 The COPO muscle car and racing program produced a storied and remarkable journey, and author Matt Avery captures all these facets in this entertaining and revealing history.